Congregation Shemen Sasson is an Israeli community in Jerusalem, comprised of people from diverse ethnic and cultural backgrounds who believe in the Bible; Old and New Covenants, as the inspired word of God. They honor Yeshua of Nazareth as the promised Messiah of Israel. They meet together at their house of prayer and community center, in downtown Jerusalem, in regular daily, weekly and monthly intervals to share life – as they worship together, pray together, learn together, celebrate together, and strive to serve the greater community in a spirit of unconditional love. Shemen Sasson is a community of believers seeking to live by God’s grace and joy while growing in love for Him and others, and serving the Body and Nation of Israel with a spirit of unconditional love. 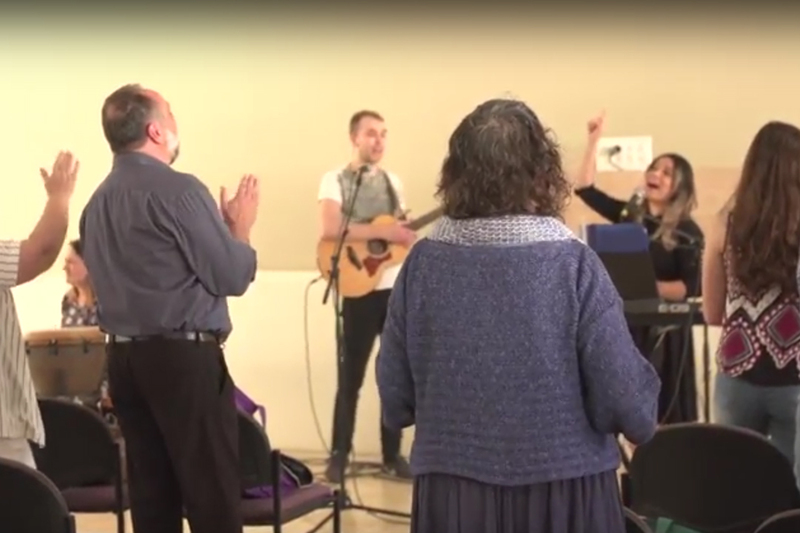 Shemen Sasson is an ethnically diverse, Messianic fellowship in downtown Jerusalem that is meeting the real needs of believers as they follow Yeshua. They equip their members through regular classes and offer practical tools that prepare both adults and children to be salt and light in the context of everyday life in Israel. Shemen Sasson is also impacting their community by creating excellent music with a unique fusion of styles that expresses the special character of their city and nation. 100% of your gift goes directly to Shemen Sasson. Congregation Shemen Sasson (Oil of Joy) is a community of believers from diverse ethnic and cultural backgrounds. They believe that the complete Bible is the inspired word of God and recognize Yeshua of Nazareth as the promised Messiah of Israel. Shemen Sasson is a joyful, worshiping community known for their genuine spirit of worship, excellence in writing and producing dynamic music, and fostering unity through worship events and seminars for Arab and Israeli believers.